Everybody is finally all working. Kids are back in school so if you’re working, you might stick around to help out with getting those sleepyheads out of bed and out the door. No small feat if your world is anything like my world. Then, when you’re finally on the road, so is everybody else. 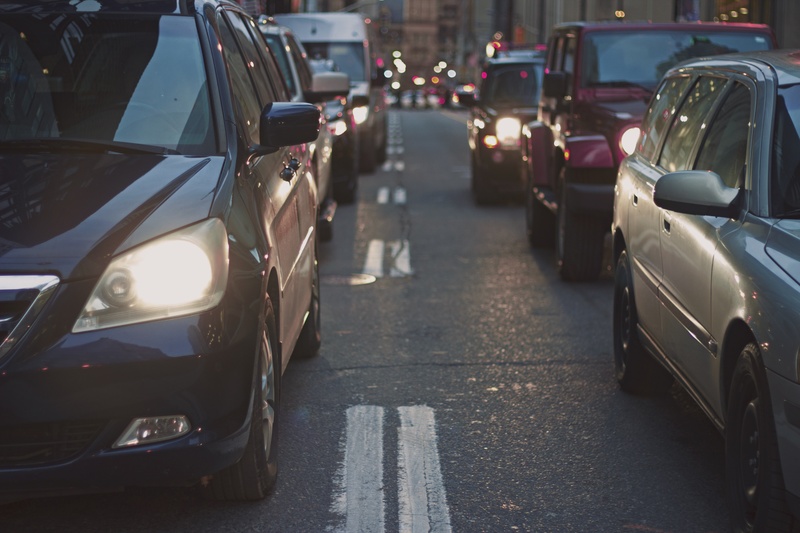 All those people who were wrapping up their vacation days at the end of the year are back out there mixing it up on the major highways – I’m sure your city is the same. If you live in a small town, I’m sure it was just another day. It can throw you off your schedule and mess with up your mood. I will now make suggestions about how best to handle bad traffic when you’re driving from the suburbs into the city…or worse, to a different area in the suburbs. Use the Waze App to Get Started: I normally start with the app and then turn it off because navigation apps annoy the fire out of me. But I’ll turn it back on at times to make sure that Lady Waze (as I like to call her) didn’t update her route recommendations. BTW, she’s been nearly always right within 2-3 minutes as to my ETA. FYI. If you don’t know what Waze is, just download it and try it. Look at Traffic as Chill Time: Technically, the only times traffic should get on our nerves is when we weren’t responsible enough to get going on time and are running late or when people act crazy. Otherwise, you get some awesome chill out time. Nobody’s bugging you. Nobody’s asking anything of you. You can pray, meditate, or listen to music (or talk radio) without anybody complaining about what you’re listening to. It’s all perspective. Listen to Podcasts: If you know me, you know I’m a podcast geek. Seriously. I’m a dork about podcasts. But it’s amazing the content that is out there. If you don’t have an iPhone, check out Stitcher or Soundcloud or whatever podcast app your Droid or Windows phone offers. Sermons, personal development, sales training, any-other-job-you-have training, comedy, sports, true crime, finance. Stuff you might have had to pay for in the past are all right there. North Point Community Church: This is general interest because never have I heard sermons that hit home from both practical and faith perspectives. Michael Hyatt’s ‘This Is Your Life’ podcast. This second one covers everything from how to develop a morning routine, to battling overwhelm, to achieving work-life balance. He’s extremely action-focused and winsome with his endearing cohost Michele Cushatt, who has a powerful story in her own right. I have a ton of suggestions, so email me (if you’re getting this post by email, just ‘reply’) or leave a comment below if you want me to send some more to you. Enjoy traffic. Really. I think it’s possible. It might take you 20 more minutes to get to work, but think of that car as your personal retreat haven. It’s all perspective.